THE $2.2 BILLION NUCLEAR FIASCO Westinghouse’s Philippine power plant is a management nightmare, and it isn’t even running. The Aquino government charges that the company bribed Ferdinand Marcos and did sloppy work. It wants restitution. (FORTUNE Magazine) – THE FIRST NUCLEAR power plant in the Philippines sits on a verdant bluff overlooking the South China Sea, just off the road where U.S. soldiers marched to their death under the bayonets of Japanese captors in 1942. The location on the Bataan peninsula seems sadly appropriate for a project that has become a bitter commercial tragedy. The somber, hulking plant has stood idle since construction crews finished work in early 1985. It is a $2.2-billion burden on an impoverished nation, running up interest charges of about $350,000 a day, and may never produce a watt of nuclear-generated electricity. The plant also is big trouble for Westinghouse Electric, the company that built it. The government of President Corazon Aquino has accused Westinghouse of bribing former President Ferdinand Marcos to get the contract and then foisting an unsafe plant on the Philippine people. Westinghouse vehemently denies those charges. ”This is strictly political,” says Theodore Stern, executive vice president in charge of nuclear energy systems. ”Mrs. Aquino campaigned on a pledge not to operate the plant.” What makes the Bataan plant especially noteworthy is the extraordinary combination of events that came together to produce a management disaster for Westinghouse. The company has one of the best safety records in the nuclear power business: With 71 plants operating in 12 countries, it has never had a major accident. But Westinghouse got into the competition for the Philippine proj ect late, after General Electric had a head start in the bidding. Eager to wrench the business away from its rival, Westinghouse turned to a Filipino with close ties to President Ferdinand Marcos. Though Westinghouse disputes it, evidence indicates that large sums of money ended up in the dictator’s hands. Having won the business, Westinghouse had to cope with the curse of victory. The National Power Co., the government-owned electric utility, chose a site for the plant that is just five miles from a volcano and within 25 $ miles of three geologic faults. Nuclear experts who examined the site at Philippine request questioned its safety. Internal memos between employees of a U.S. contractor involved in the plant discuss political arm twisting to get Philippine regulators to approve construction at the disputed site. Nuclear specialists have also challenged the quality of construction. By the time Westinghouse declared the plant ready for core loading, these experts say, deficiencies remained in wiring, in brackets that support the miles of electrical cable and pipes that carry steam and water (some of it radioactive), and in several other areas. Nuclear experts who were in Bataan during construction say Westinghouse dealt with some defects by rewriting specifications after the plant was built. 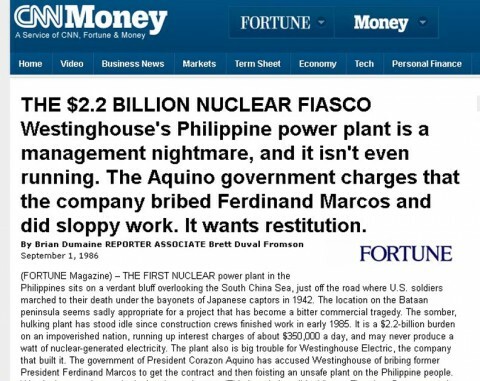 The Aquino government says it plans to seek restitution from Westinghouse that could run into hundreds of millions of dollars. The U.S. Justice Department has reopened a bribery investigation it dropped in 1978, this time with eager cooperation from the Philippine government, and the Securities and Exchange Commission has apparently returned to an old investigation of its own. If its agents did pay bribes, Westinghouse would be guilty of violating the Foreign Corrupt Practices Act unless it was genuinely ignorant of what was going on. The act calls for penalties of up to $1 million in fines for corporations and up to $10,000 and five years in prison for individuals. Westinghouse has had trouble over foreign payments before. In 1978 it paid a $300,000 fine after pleading guilty to Justice Department charges that it bribed an Egyptian official to get a contract for a conventional power plant. Westinghouse gets about one-quarter of its earnings from nuclear power and is bidding on plants in Egypt, South Korea, and Yugoslavia, and talking with the People’s Republic of China, Taiwan, and the Netherlands. With the Chernobyl accident having raised fears all over the world, this is an awkward time for the company to face questions about the quality of its work. Just about everyone connected with the Philippine power plant has ample incentive to distort the facts. And as with all things nuclear, honest experts differ honestly over what is safe. But months of reporting, from Bataan to Pittsburgh, lead FORTUNE to piece together the story as follows: In 1973 Marcos ordered National Power to negotiate a deal to buy two 600- megawatt nuclear plants. By early 1974 GE was deep into negotiations with National Power. Apparently looking for a way to leapfrog GE, Westinghouse’s district manager in the Philippines, Len Sabol, went to Jesus Vergara for help. Vergara, a Filipino, was president of Asia Industries Inc., a subsidiary of U.S. Industries, then a highflying U.S. outfit, which later was taken over by Hanson Trust in England. Asia Industries distributed commercial and industrial products for Westinghouse in the Philippines. According to a confidential SEC summary of its earlier investigation, Vergara told Sabol that Westinghouse should hire a lobbyist who was close to Marcos. HE LED Sabol to Herminio Disini, the well-connected chairman of Herdis Management & Investment, a Philippine conglomerate. Disini played golf regularly with Marcos; his wife was Imelda Marcos’s cousin and medical adviser. Vergara told FORTUNE he mentioned the job to Disini after a round on the links at the Wack Wack Golf and Country Club in Manila, but Disini wasn’t interested until Vergara pointed out that the commission could run well into the millions. On May 7, 1974, Disini swung open the doors to Malacanang Palace and Westinghouse’s salesmen made their pitch directly to Marcos and his cabinet. They offered to supply a single plant with two 620-megawatt reactors at a base price of $500 million. Other charges, for such things as fuel and transmission lines, raised the estimated total price to around $650 million before interest and inflation during the construction period. By this time, GE had spent nearly nine months wooing the Filipinos, but had not sought an audience with the President. On Friday, June 14, a GE group met with National Power’s nuclear-plant committee in the palace office of Alejandro Melchor, Marcos’s executive secretary and a National Power director. The GE salesmen brought along a 200-page prospectus detailing the costs of its plants and their design. Says a former GE executive who was there: ”I felt euphoric when I left the meeting.” He flew back to the States that weekend and stopped at his boss’s office in San Jose, California, first thing Monday to tell him how well the presentation had gone. But when he arrived at his own office, the executive found a telex from GE’s Manila office: Westinghouse had won. Unknown to GE, Westinghouse had the deal locked up more than a week before the meeting in Melchor’s office. In late May or early June, Marcos phoned Ramon Ravanzo, the general manager of National Power, and ordered him to give the business to Westinghouse. He followed up the phone call with a letter to Ravanzo and Melchor on June 7 giving them official authorization to negotiate a contract with Westinghouse. On June 14, the same day GE presented its detailed proposal to the committee, the board of National Power went through the formality of ratifying Marcos’s order. Ravanzo was miffed that he had no part in Marcos’s decision. ”There never was any bidding,” he says. Melchor describes the selection of Westinghouse as lutong macao, Tagalog for Chinese cooking. He translates that to English as: ”The deal was cooked.” At about the same time, National Power hired Ebasco Services, a subsidiary of Enserch Corp. of Dallas, to test the safety of prospective plant sites and monitor construction. Ebasco had signed a letter of intent with National Power to act as a consultant in selecting the supplier of the reactor part of the plant. The company thought it also had locked up a bigger contract to do the architectural and engineering work and manage construction. Says Carl Whitehead, the group vice president in charge of Ebasco’s international operations: ”After Westinghouse came in, we were out. The damn thing happened so fast we didn’t know what had happened. It was very embarrassing. The only story we got was that the decision was made at the very highest levels of the Philippine government.” Melchor set up a ”palace team” to examine financing and the technical aspects of the plant while National Power and Westinghouse negotiated a formal contract. The palace team continued to look at other proposals, thinking it could persuade Marcos to drop Westinghouse if it came up with a better deal. Meanwhile the Westinghouse price was climbing. Melchor wrote a long memorandum to Marcos in September 1974 complaining that Westinghouse’s base price had jumped from $500 million to $695 million in just four months. Fermin Javier, a member of the palace team, says the group found that just about every alternative was cheaper than Westinghouse, including GE. But the team found Marcos immovable. As the contract negotiations dragged into 1975, Marcos made late-night phone calls to Ravanzo, impatiently telling him to conclude the deal. Melchor, who is Aquino’s ambassador designate to the Soviet Union, says he tried to intercede with Marcos on Ravanzo’s behalf: ”I told Marcos one day in the palace that Ravanzo is a professional and his technical competence is all he * has. If he’s forced to prostitute himself, he has nothing. I was shouting at Marcos. I had never done that before.” But Marcos would not bend. He wanted a contract quickly, and Ravanzo could negotiate only with Westinghouse. Ravanzo says it was virtually impossible to bargain with the Westinghouse team: ”They knew about the order we had from Marcos and that we couldn’t go elsewhere no matter what Westinghouse demanded.” When pressed, Ravanzo concedes he has no direct evidence that Westinghouse knew of the order, but he says nothing else can explain the company’s arrogance. By the time a formal contract was signed in February 1976, the deal called for a plant with just one 626-megawatt reactor because the Philippines could not get financing for a second. Westinghouse was to provide the plant on a turnkey basis, overseeing all the design and construction and training National Power employees in its operation. Instead of getting a twin-reactor plant for $650 million, the Philippines was paying $722 million for a single- reactor plant with half the power output. Another $387 million for interest and escalation costs raised the total contract price to $1.1 billion. Inured to the ways of the Marcos regime, at least one Filipino involved in the project simply assumed Westinghouse had bribed the President. He was Librado Ibe, then chairman of the Philippine Atomic Energy Commission and the country’s top nuclear regulator. ”Once Marcos decided to hire Westinghouse,” says Ibe, ”whatever Westinghouse wanted, Westinghouse got.” He says flatly, however, that he has no specific knowledge to back up the contention that Marcos took a bribe. THE AQUINO government has gathered evidence that bribes were paid — though not directly by Westinghouse. Jesus Vergara, the former head of Westinghouse’s Philippine sales affiliate, told Aquino interrogators in April that Westinghouse paid Disini a commission of at least $50 million, just under 5% of the contract price. Disini gave Marcos about $30 million of that, Vergara said, and split the rest with Vergara and Rodolfo Jacob, the president of Disini’s conglomerate. Jacob also told Aquino investigators that money went to Marcos. When interviewed by FORTUNE, Vergara said Marcos got $25 million, but denied that he, Disini, or Jacob pocketed anything. Said Vergara: ”The Westinghouse deal was the cleanest Marcos deal. Usually the President took 15% of a deal.” One Westinghouse action raises questions about the company’s conduct. According to the summary of the earlier SEC investigation, Sabol, Westinghouse’s district manager in the Philippines, destroyed six volumes of documents that apparently related to the project. The SEC summary says the precise contents of the volumes were unknown. A Westinghouse spokesman told FORTUNE that the six volumes contained correspondence that the company managed to reconstruct with duplicates from other files and turned over to the Justice Department. The Justice Department refuses to comment. FORTUNE could not locate Sabol, who has retired, and Westinghouse would not disclose where he is living now. Westinghouse vehemently denies that money went to Marcos. The company says it paid Disini only $17 million in commissions, or about 1.5% of the total contract price. It says the contract price, called exorbitant by some critics, was justified by the turnkey nature of the deal, which left Westinghouse with full responsibility for all the construction. Monroe W. Walcher, the Westinghouse manager of the Philippine project, says the price was high partly because of escalation provisions and because Westinghouse had to build housing for employees at the remote site. ”We were dealing with inexperienced people,” Walcher adds. ”Besides, no one can estimate within 20% of a project like this.” Whatever Disini collected in commissions, he also got a lot of business from Westinghouse. After he helped the company win the deal, Disini bought Asia Industries from U.S. Industries and thus became Westinghouse’s Philippine distributor. His Summa Insurance Co. wrote part of the plant’s coverage. And though he had no prior construction experience, Disini formed a consortium of contractors called Power Contractors Inc., to which Westinghouse awarded major subcontracts on the plant. Disini’s empire collapsed in the early Eighties and the government took over many of his businesses. He left the Philippines for Austria, where he lives in a turn-of-the-century villa outside Vienna. Disini and his lawyers refused FORTUNE’s requests for interviews. Once they had a contract and financing from the U.S. Export-Import Bank, Westinghouse and National Power needed a place to build. In the Philippines that is a problem. Antinuclear activists argue that the island group is so prone to earthquakes that no safe sites exist. Other experts say that nuclear power plants can be built there, provided that they are designed to withstand enormous shocks. National Power, with help from the International Atomic Energy Agency (IAEA), a U.N. group headquartered in Vienna, first picked a seaside location on the Bataan peninsula. But Ebasco concluded that among other problems the site was so close to sea level that the plant would be vulnerable to tsunamis, the tidal waves caused by the earthquakes that frequently occur in the South China Sea. Just before the contract was signed, Ebasco and National Power settled on the present site, a bluff eight miles north of the original spot. Just a month later, in March 1976, Westinghouse began clearing the site. National Power had not yet obtained a construction permit from the Philippine Atomic Energy Commission and Ebasco was still performing on-site tests to determine whether the site was safe. Ebasco says it is not unusual to begin construction before site tests are complete, adding that it had already made preliminary studies of the general area. The detailed seismic tests and other analyses at the site, it says, were largely to determine the amount of reinforcement needed to protect the plant from earthquakes. Two former Ebasco engineers who worked on the project say, however, that work began so early that the bulldozers rumbling around the site interfered with the seismic tests. Librado Ibe, the Philippine regulator, says Westinghouse rushed into construction because National Power and Marcos wanted the plant built quickly. Ibe was the sole member of the Philippine Atomic Energy Commission (the number of commissioners has since been raised to five). Prior to the Westinghouse plant, the commission’s jobs were to oversee a research reactor the U.S. gave the Philippines under President Eisenhower’s Atoms for Peace program and to monitor the use of radioactive isotopes in agriculture and industry. Ibe, 62, was Marcos’s top nuclear expert. He began his career as an engineer at National Power in 1949 and earned a doctorate in nuclear engineering at Purdue University in 1967. In July 1977, a month before Westinghouse began pouring concrete, Ebasco submitted its studies to National Power. Based on Ebasco’s report, National Power asked the commission to grant a construction permit. But Ibe was concerned about Ebasco’s work. He doubted that the company had adequately considered the dangers posed by earthquakes and by Mount Natib, the dormant volcano five miles away. IBE ASKED the IAEA to help him evaluate Ebasco’s conclusions. The IAEA often advises countries, especially ”under-teched” Third World nations, on nuclear matters but has no enforcement authority. The agency draws experts from regulatory agencies, nuclear power companies, consulting firms, and academia. An IAEA team of five analysts visited the site in the spring of 1978 and studied Ebasco’s data. The team drafted a report saying Ebasco had improperly addressed both the earthquake and volcanic hazards, and recommended that National Power halt construction until Ebasco performed more tests. Westinghouse reportedly had spent about $200 million on the plant by then. Ebasco executives learned about the IAEA report in May. Ebasco documents FORTUNE has obtained show that James Logan, Ebasco’s project manager on the site, got a copy of a draft report on May 11 and cabled headquarters in New York saying that its contents were ”dynamite” and too sensitive to telex. A week later Logan and three Philippine officials wrote a memo saying ”the consequences of the findings, if formally published or leaked to the media, would be disastrous . . .” The main point of contention between Ebasco and the IAEA team concerned the volcano. If it erupts, the volcano could send lava pouring over the plant, engulf it in a cloud of 8,000 0 F gases, or bury it under a mountain of ash. Ebasco’s position was that Mount Natib, which has not erupted in an estimated 70,000 years, poses no serious threat. Ebasco also maintained that if the volcano does blow, the eruption would occur on the east flank of the mountain, away from the plant. It argued that a west-flank eruption facing the plant is impossible. The issue was crucial. If a west-flank eruption were considered possible, as the IAEA contended, the site could have been ruled out. In a memo to senior vice president Whitehead, a project manager named John Hazak said that the plant could not be made safe from a west-flank eruption even if National Power knew it was coming long enough to remove the nuclear fuel. ”Removal of fuel will not make the plant safe,” Hazak wrote, ”as the radioactive gases, solid waste, and plant equipment could be scattered to the wind contaminating a wide area.” Ebasco dismisses Hazak’s comments, saying he had a tendency to intrude in areas where he had no expertise. FORTUNE was unable to locate Hazak, who has left Ebasco. Ebasco scrambled to arrange a meeting with the IAEA to argue that the agency should soften the recommendations. But its arguments did not convince the IAEA team. It then tried to persuade Ibe to reject the recommendations and accept the company’s studies as adequate. If Ibe adopted the IAEA’s conclusions, which he seemed inclined to do, he could withhold the construction permit for another year or more while Ebasco and National Power performed further tests. On August 17, Logan, the Ebasco project manager, telexed the company’s chief geologist at his office in Greensboro, North Carolina, saying: ”There is going to be some arm twisting of (the commission) and a great deal less acceptance of treadmill investigatory programs . . .” Logan added that the decision to dispense with the tests recommended by the IAEA and proceed with construction ”may well be politically oriented.” Ebasco says the telex and other documents obtained by FORTUNE are authentic but maintains that the company never put pressure on anyone in the Philippines and did not know of any pressure on Ibe or his agency. It says Logan has a penchant for ”colorful language” and that his words should not be taken at face value. Ibe says that by late 1978 he was being urged in private to approve the site by the energy minister, Geronimo Velasco, by National Power, and by Westinghouse executives in Manila. The lack of a permit had begun slowing construction because Westinghouse could not begin building the actual reactor until one was issued. Ibe says the urgings from Westinghouse came with reminders to the effect that ”the President is very much involved in this project.” Ibe says Westinghouse also tried to win his cooperation by cultivating his friendship. He recalls attending dinners at the Peninsula Hotel in Manila hosted by Westinghouse and its Filipino agents for employees of his commission and National Power. The Filipino agents, Ibe says, sometimes offered him the services of prostitutes. Such favors are common business entertainment in the Philippines, but Ibe felt it was out of line to offer them to the country’s top regulator. Westinghouse denies the allegation. Late 1978 and early 1979 was a time of constant tension for Ibe. He still had doubts about the safety of the site and wanted National Power and Ebasco to do more testing, but he had to withstand constant pressure to stop delaying the project. He finally relented and issued the construction permit in April 1979, just a week after the Three Mile Island accident in Pennsylvania. Ibe explains that it was unsafe to resist Marcos’s lieutenants too long. Four ^ days later he left the country with his wife and two younger children. Ibe now works for a nuclear engineering firm in Maryland. Surprisingly, Marcos himself halted construction a few months after Ibe left, and appointed a three-man commission, headed by Ricardo Puno, who later became minister of justice, to investigate the plant. Filipinos who had opposed the plant from its inception say Marcos only wanted to defuse growing political opposition. Others say he was genuinely concerned about safety following Three Mile Island and wanted to ensure he was getting a plant built to the latest standards of the U.S. Nuclear Regulatory Commission (NRC). National Power and Philippine Atomic Energy Commission officials say they had insisted from the outset that the facility meet NRC requirements. To the surprise of just about everyone in the Philippines, the Puno commission concluded that the plant’s design was unsafe — a verdict Westinghouse disputes. The commission wanted design changes it considered necessary to bring the plant up to U.S. standards. In addition, it wanted Westinghouse to incorporate any new safety features that the NRC mandated in the U.S. as a result of Three Mile Island. Westinghouse and National Power renegotiated the contract to meet these objections. When they finished haggling, the price was $1.8 billion. Of the $700-million increase, $55 million was for added safety equipment. The balance represented higher interest costs and inflation. Since then the cost has escalated to $2.2 billion, reflecting more capitalized interest and delay costs. Westinghouse finally returned to work at the beginning of 1981, a year and a half after the shutdown began. Back on the job, Westinghouse and its subcontractors worked like dervishes. The company says it was hustling to get the plant into operation in January 1985, as it had promised National Power. Some observers say it was racing to finish because Marcos’s grip on the country had begun to wane. Marcos, says a Philippine official, was growing ”old and scared” and could no longer squelch criticism of the plant. William Albert, an IAEA adviser to the Atomic Energy Commission, says he thought Westinghouse was rushing to finish the job, collect its money, and leave. Says Albert: ”Westinghouse sensed a change in the political winds and wanted to get out of there.” WHATEVER its motives, Westinghouse kept to its timetable. In June 1984 National Power applied on schedule to the Atomic Energy Commission for a license to operate the plant. Westinghouse declared that the plant was ready to run the following January and turned it over to National Power. Most Westinghouse employees had left the site by the end of February, and the last construction worker departed in May. Whether what they left behind is safe to run is a matter of contention. One commissioner complains that the plant has numerous construction flaws that must be corrected. Some officials contend that the plant fails to meet U.S. design standards. Westinghouse scoffs at such claims. Says executive vice president Stern: ”That plant has been ready since January 1985.” Westinghouse engineering executives told FORTUNE that only seven ”non- conformances,” all minor, remain to be corrected. The company also argues that commission officials are criticizing the plant to curry favor with Aquino. While there is little evidence of that, and much evidence that they have had objections about the plant all along, some criticisms are clearly exaggerated or just plain wrong. And some safety inspectors who worked at the site support Westinghouse. For instance, Martin Mell, an Ebasco quality control expert who advised National Power, says he thinks the plant is safer than most in the U.S. Of the experts who were at the plant during construction, the most persuasive witness is William Albert, the IAEA adviser. Albert spent 18 years with the NRC and its predecessor, the U.S. Atomic Energy Commission, before retiring this year. NRC safety specialists describe him as one of the best inspectors the agency ever had. He spent 3 1/2 years in the Philippines — from July 1979 to July 1981 and from October 1983 to March 1985. Westinghouse itself recommended Albert to FORTUNE as a competent expert who paid close attention to what happened at the plant. Albert does not say the plant is hopelessly flawed. Indeed, he argues that Aquino should fix it and put it in operation. But he says it could conceivably cost hundreds of millions of dollars to do that. To know for sure, he says, would require a detailed inspection by a team of 40 to 50 specialists. One major problem Albert describes involves welds in a system of thousands of hangers for water pipes that snake throughout the plant. A badly welded hanger could allow a pipe to burst, causing a major accident or the failure of an essential safety system. The welders at the Philippine plant, Albert charges, broke many rules of the trade. Welders use a metal called weld rod, which in humid Bataan must be kept dry because moisture can cause a seam to crack. To keep the rod dry, welders store it in a small, box-shaped electric oven that is supposed to be plugged in at all times. But the welders at the plant often played a game: They would see how long they could fool inspectors by keeping their ovens unplugged. Albert says the welders did not want to bother stringing extension cords to the ovens. Albert adds that welders worked around the clock when Westinghouse sped up construction at the plant. He came upon one welder who had been on the job for 26 hours. ”They let me get an hour of sleep now and then,” the worker explained. Says Albert: ”There’s no way a welder can work for 26 hours straight and do quality work.” Westinghouse insists that it has checked all the welds and verified that they are fine. But that is difficult to prove since record keeping at the plant was sloppy. An inspector on the site found couplings in a cooling-tower fan that were grossly misaligned. When he checked the records, he found the paperwork for couplings that had been properly installed, but not for those that were bungled. Westinghouse concedes that quality was sometimes hard to monitor because reports were illegible. Albert also criticizes the work on base plates that hold pipe hangers in place. Each hanger is attached to a metal plate, which in turn is bolted to the concrete walls, ceilings, or floors. Albert says many of these plates were installed so badly that they were not flush to the surface. Bolts holding the plates frequently did not grip the concrete and twisted continuously if turned. If plates broke away from the wall during an earthquake, Albert says, pipes could fly around the plant like loose fire hoses. Some pipes are meant to move because they must flex as the pressure or temperature in them rises and falls. Albert says plates and hangers that are supposed to allow movement were sometimes badly aligned, preventing the pipes from shifting freely. In other instances plates designed to move were bolted fast to the floor. Albert pointed this out to Westinghouse, he says, ”and they accepted it as is.” An IAEA team that inspected the plant in June 1984 noted that many valves controlling water flow were poorly marked or unmarked. Albert says the valves were still poorly marked in February 1985, after Westinghouse had pronounced the plant complete. He adds that workers blithely twisted valves with tags on them saying DO NOT OPERATE. A worker caught tampering with a valve in a U.S. nuclear plant would be fired. During the rainy season, underground conduits and vaults carrying electrical cables between buildings fill with water. Westinghouse says the flooding was expected and is not a problem. The cables running between buildings, it says, are designed to operate under water. Another safety expert from the IAEA who was on the scene to advise the Philippine Atomic Energy Commission disagrees. He is Lucian Vorderbrueggen, an electrical engineer who recently retired from his job as a senior safety inspector with the NRC. ”Cable is not designed to be constantly submerged,” he says, explaining that the insulation could eventually break down and the cable short-circuit, cutting off power to safety equipment. Vorderbrueggen, who was at the plant until last September, says the underground vaults were badly built and leak constantly. To repair them properly, he says, would require major redesign and rebuilding. He adds that Westinghouse did nothing about the leaking in most of the vaults, but dealt with the problem in a couple of them by trying to seal them and putting in sump pumps, which he calls ”a real Band-Aid fix.” Says Vorderbrueggen: ”In the U.S. (the NRC) would say, ‘Fix it right or we won’t license the plant.’ ” ALBERT ATTRIBUTES all these problems to a breakdown in quality control. Westinghouse had a quality control staff of 45 persons at peak construction. Albert estimates that its two principal subcontractors, Disini’s Power Contractors Inc. and Miescor, a company controlled by a brother of Imelda Marcos, had 40 or more. National Power had 30, plus five Ebasco experts to advise them. And the Philippine Atomic Energy Commission had two inspectors who visited the site occasionally and eight advisers like Albert who were there under the aegis of the IAEA. Why couldn’t all those inspectors ensure that the work was done right? Witnesses disagree. Albert says Westinghouse had the final authority on how problems were resolved, and some of its inspectors would not take the necessary corrective action. ”They couldn’t have cared less,” he says. Josue Polintan, the National Power senior vice president in charge of the plant, agrees that quality control was poor but says the Westinghouse inspectors were not to blame. ”If the guys at Westinghouse found out about it,” he says, ”they would try to fix the problems, but their workers would try to cover up and Westinghouse couldn’t possibly catch it all.” Albert claims that Westinghouse officials routinely took too little action in response to complaints from its subcontractors and National Power inspectors. He says much of the clout National Power had came through the Atomic Energy Commission, which had the final say about whether the plant was acceptable. As a result, National Power inspectors would sometimes ask the commission to intervene when Westinghouse did not heed complaints from the utility. 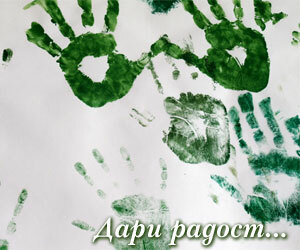 But even that often failed. ”If you got Westinghouse to say they would do something, usually something would be done,” says Albert. ”But whether it was satisfactory was another matter.” IN 1979 Albert reported to Westinghouse that workers were not heating high- carbon-steel reinforcing rods in the concrete structure before welding them. Failure to heat the rods increases the risk that the welds will crack. Albert says Westinghouse agreed to teach the welders how to do the job right. When he returned to the site over four years later, however, they still weren’t heating the rods. ”The only difference,” he says, ”was that they knew better.” Westinghouse appears to have solved some deficiencies by rewriting specifications. Paul van Gemst, a Swedish engineer on loan to the IAEA from ASEA-ATOM, a company that builds nuclear plants, says commission employees told him that was how Westinghouse cured the problems with the base plates for the pipe support brackets. ”Westinghouse tried to recalculate the hangers and base plates to prove that they did meet specifications,” says van Gemst. ”When they failed to meet the specs, Westinghouse modified them.” Westinghouse acknowledges that it changed specifications for base plates and hangers, but says design engineers certified that the new specs met design requirements. In disputing the charges of construction flaws, Westinghouse relies heavily on reports made in February 1985 by an IAEA inspection team and the Philippine Atomic Energy Commission’s technical staff. Westinghouse says both groups concluded that the plant ”meets international safety standards followed by 26 nations” and was ready for core loading. The commission staff report does not provide the endorsement Westinghouse describes. The staff said that National Power and Westinghouse had all their paperwork in order, so the commission could begin considering the application for an operating license. The report added that several safety issues still had to be resolved before the nuclear fuel could be loaded. The IAEA report that Westinghouse cites was a follow-up to a report by another IAEA team that found a morass of defects in June 1984. ”In the past,” the 1984 IAEA team said, ”quality assurance in construction work showed major weaknesses, as was indicated by generic deficiencies, which went undetected for a long time, especially in respect of welding-rod control, cable pulling, and valve installations. The result was a deterioration in the work quality on-site.” The 1985 report indicates that the problems had been solved and concludes that ”there is no technical obstacle” to loading fuel and running the plant. How could two IAEA teams, both led by the agency’s safety director, Morris Rosen, arrive at such different conclusions just eight months apart? For one thing, a construction expert on the 1984 team who was critical of the plant, William Ang of the NRC, was not on the 1985 team. Apart from an engineer who visited in 1984 and found some continuing problems with the electrical cables when he returned in 1985, the members of the second team were not construction experts. They specialized in such areas as training and radiation exposure. Albert maintains, and other NRC safety experts agree, that the IAEA team could not possibly have done a thorough inspection in the week it spent at the plant. He also says that many problems cited by the 1984 team still existed a month after the 1985 team had left. Rosen refuses to say what the second team did to reexamine the problems reported by the 1984 team. ”I won’t comment on specifics,” he says. ”These are very technical. People involved at the plant say nothing was wrong with it.” The Aquino government has not calculated how much it might cost to fix the plant, and says it is not interested since it will never operate the reactor. Two days after the Soviet Union acknowledged the Chernobyl accident, Aquino’s cabinet mothballed the plant. In late June the government ordered a study to determine whether it is feasible to convert the plant to a coal-fired generator. 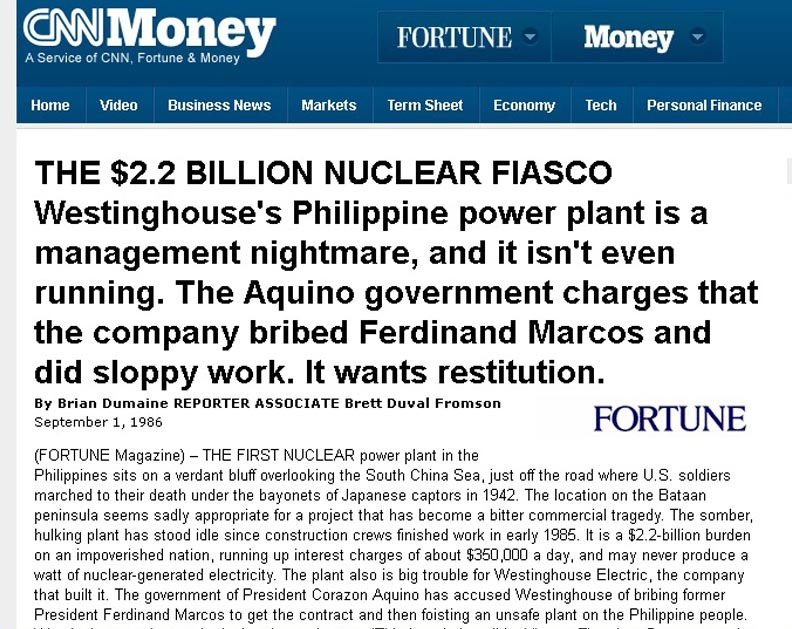 But Aquino does want restitution from Westinghouse. Rene Saguisag, a cabinet minister whose sole responsibility is the nuclear plant, plans to begin negotiating soon with Westinghouse. If the company does not offer a satisfactory settlement — Saguisag won’t say how much that is — the Aquino ; government says it plans to sue Westinghouse for the full $2.2 billion. Saguisag, a Harvard Law School graduate, says he may sue in the U.S. under the Racketeer Influenced and Corrupt Organizations statute, which provides for triple damages. Westinghouse must also contend with the Justice Department and the SEC. A grand jury voted not to indict Westinghouse over its Philippine project in 1978. This time Justice is getting cooperation from Manila that its first probe lacked. And the SEC, which abandoned its earlier investigation without taking action, appears to be retracing its steps. In April the SEC’s enforcement division told Congressman Stephen J. Solarz, chairman of the Asian and Pacific affairs subcommittee, that it was considering a new probe, and in July its investigators were questioning present and former GE executives about Westinghouse’s actions. Meanwhile the plant stands idle, the Philippines anticipates a shortage of electricity by 1990, and those interest charges keep piling up.